A very well-known theme in this story makes it very familiar and yet so very different. Quantum wakes every morning, to the same routine, day in, day out, and has he thinks for the last few years. Little does he really know the full extent of what’s actually been happening within the game he nicknames ‘the loop’. When a message and a mysterious person, Frances, disturbs the loop and his day to day repetition. Everything that Quantum has come to know turns on him and he’s fighting for his life both inside and outside the game. 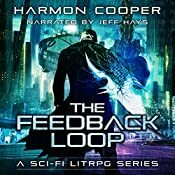 What I really enjoyed from this audiobook was the great attention to character detail, the depths to which Harmon has gone to make us really think about the situation that Quantum is in. After all, how would we react stuck not only in a game but repeating the same day? 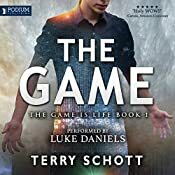 The psychological ramifications are evident throughout the story, but they’re realistic and true to Quantum’s character and to that of someone who is playing a game. What I think could have been improved, there were some great action scenes and sequences, but I think the reasons behind some weren’t as clear as they could have been. The assassins on the outside, part of the ‘reapers’ were underdeveloped. I know money is the bane of all evil, but it didn’t quite add up for me. I wanted more of their need to stop him in the game and out of it, maybe that comes out better as the series develops. I guess I can only hope. I am an avid follower of Jeff Hays, so I can’t lie that I already know his voices and his traits. As an actor, he’s growing not only in the genres he’s taking on but in the way he produces his work. 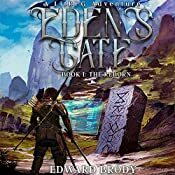 They’re more and more entertaining, and it’s great to see someone branch out to take on, something as substantial in the writing world, a genre in its own making, litRPG. I received this book without obligation from the narrator. What I enjoyed about this book was the get in late scenario, there was no messing about with this storyline and it was very easy to follow and unfolded really well. The plot revolved around some great 3d characters who each had so much depth and backstory that it affected the outcome of the book and really made you feel for them. Great job on the suspense and mystery surrounding this story. I did think maybe it could have been longer, because I enjoyed it a lot, and I hope that this isn’t going to be the only book with these characters, it seems there’s so much scope that it would be a shame if so. The world building and ideas in here support most A.I stories, that I’ve had the pleasure of reading or listening to, yet it didn’t seem over-worked or contrived. 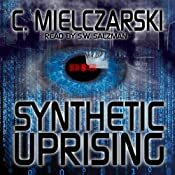 The narrator has a great tone to his voice for this genre, deep and gritty, which suited the MC and I found myself getting lost within the world. The different character voices were unique enough that I didn’t need tags to know who was doing the talking, great job. I look forward to more from both writer and narrator, thank you for letting me listen in.